This a happy post with a happy drink. It was for a party celebrating a neighbor’s little girl’s holy communion. Two years ago, we were invited to the same party, same house, different child. That was the day Nashville was hit with the big flood that got nationwide news. It was treacherous, memorable. This year, the sun was shining all day, right up to the moment the party started. Then it rained. It thundered. It stormed. The past several Sundays were beautiful, perfect. Not this one. We all laughed at the irony and coincidence of this weather upset. But, there was no flood and plenty of food and drink even if we couldn’t sit outside on the beautifully decorated deck, where my strawberry sangria could have been sipped amongst all the spring flowers. A little later, there were some amazing rainbows, orange glows of light and a reprieve from the storm. This is life. It is full of surprises. Things can change in five minutes. This is why it’s good to not let life steal away happiness. Go when you are invited to special moments at a neighbor’s house. Celebrate every chance you get. See people. Get intimate. Tell people the good things you think about them. Be your best self with your neighbors. Share yourself, whatever that means. One of the men didn’t bring anything, but he did the cleaning up, which is probably the best contribution of the day. The neighbor relationship is unique, often built slowly sharing mere minutes at the mailbox or walking the dog. As time goes by, these minutes form friendships, often life changing. These become the people you are going to call first when a scary tornado threatens, or you’re running to the emergency room and need some help. When a few neighbors gather, it builds community. In an age of facebook and twitter, I don’t want to forget the people I live around. I want memories with them. I want the comfort they provide and I want to be a part of their special moments in life. Do you know your neighbors? Has that been a good thing? This is not the official sangria, sangria. I didn’t use a Spanish wine. I used one bottle of dry white wine, one bottle of rose, but you could use two bottles of white wine. I added lots of fruit, and you can be creative here, as long as half of the added fruit is fresh strawberries. I think this matters. I used quite a bit of strawberries because I scored a gallon for $15 at a recent farmer’s market trip. 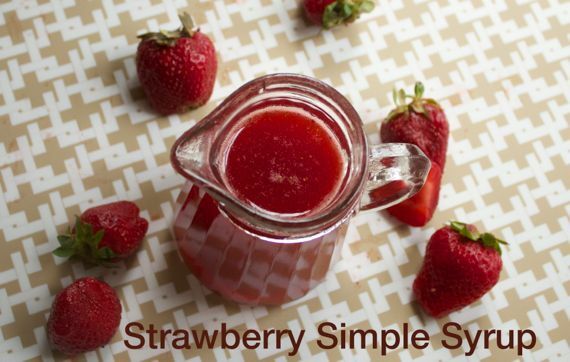 I think you could use frozen strawberries to make the simple syrup, but do add in fresh strawberries to the pitcher. I added an orange, a lime, and few basil leaves. You could substitute peaches for oranges, but I would keep the lime and fresh basil if possible. To stretch the sangria and not have it be so strong, we added in a pint of a flavored sparkling soda right before serving. It went fast, and got as many rave reviews as Mr. Spinach Tiger’s guacamole (which is truly special; recipe to come). I used homemade strawberry simple syrup, made with fresh strawberries. I froze some of the sangria in a decorative ice cube tray. 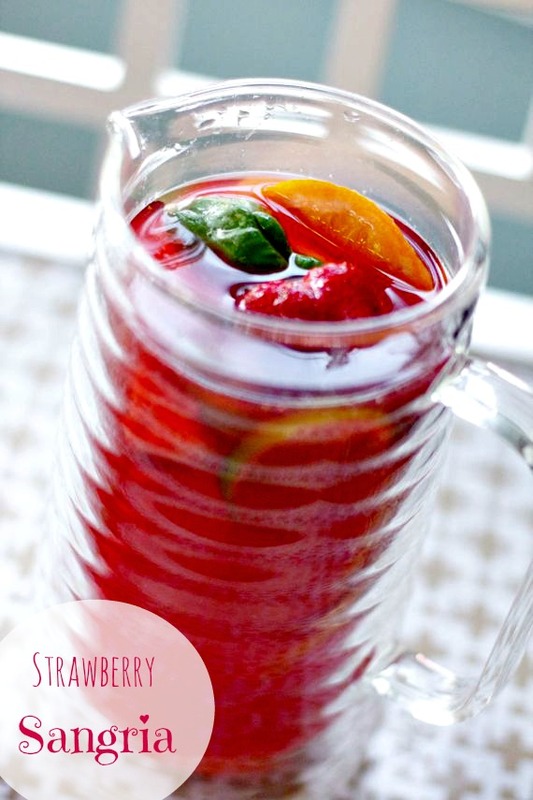 Fresh strawberries, lime, basil and a strawberry simple syrup made a perfect Spring Strawberry Sangria. Mix all the ingredients except the sparkling water, fresh strawberries in a pitcher at least 8 hours prior to serving and refrigerate. I usually do this overnight. Fill pitcher with ice cubes made from an extra simple syrup, watered down by 75%. 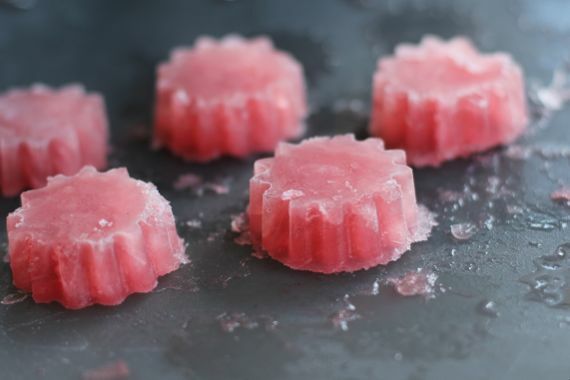 This will result in flavored ice cubes. Serve cold with added fresh strawberries. Interesting that you added basil! I made a strawberry-rhubarb crisp the other night, and added fresh basil out of my garden! We’re still on the same wavelength even when we don’t converse! Hugs!! Great words spoken Angela..about being neighbourly. This strawberry sangria is a wonderful contribution. Love the flavours and the colour too! This looks like the perfect drink for an upcoming Labor Day party. Thanks for sharing! Angela, this is the perfect thirst quencher for a warm summer day. 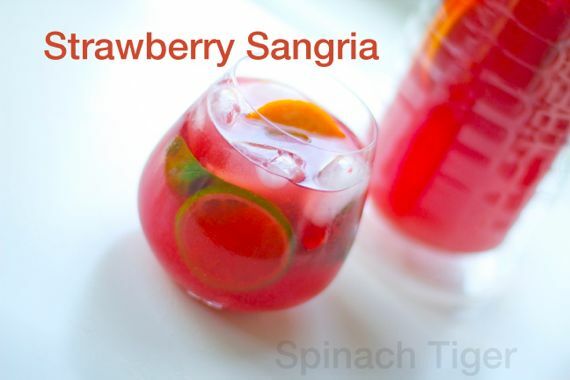 My daughters and I love Sangria for the beach or poolside. Your recipe goes into my file. Thanks. I love sangria! Perfectly refresing in summer and very warming in winter. Its an all season dink 🙂 love your strawberry version! Thanks, I love Sangria and I love strawberries… I would tell everyone to use organic strawberries (just one of those fruits that organic over non organic there is a big difference in taste and safety. I bet a lot of people will be adopting this as their 2012 summer drink. Very nice and I love the little cubes! The narrative about neighbors was beautifully expressed and made me somewhat envious for a moment. I’ve never had that experience – could be the areas I’ve chosen to live/could be me – but I am blessed with a great multi-generational family and a wide circle of friends with whom I share a lot. Yes, strawberries in season are amazing. I just snagged some at the farmer’s market last weekend and, although pricy, they were stupendous and really tasted like strawberries. I am picking more up this weekend for sure. Gorgeous drink and love the herbal additions. Photos are really perfect. The strawberries are getting really good right now. So sweet. That’s one of the best things about summer. It’s great that you can share these moments with us but also with your family, friends and neighbors. You never know who you’ll need to call in times of need! Divine! That is a wonderful sangria. Those flavors are exquisite.